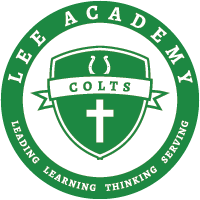 Congratulations to the Ninth through Eleventh Grade Lee Academy Class favorites! Favorite nominees were selected and voted on by their class peers and were honored in assembly this morning at break. We are very proud of all nominees and selected class favorites. "It is nice to be important, but it is also important to be nice!" Senior Nominees and Favorites will be announced at Lead Out on May 19th at 7:00.